Intel® Server Board S2400SC2 SSI CEB 12" x 10.5"
Intel® Server Board S2400SC2 (1) Intel® Server Board S2400SC2, (1) I/O Shield, (4) SATA cables, (1) DVD contains Intel® Multi-Server Manager Software and Intel® Deployment Assistant, (1) Quick Start User Guide, and (1) Attention document. Note: the OEM 10 Pack does not ship with included items. 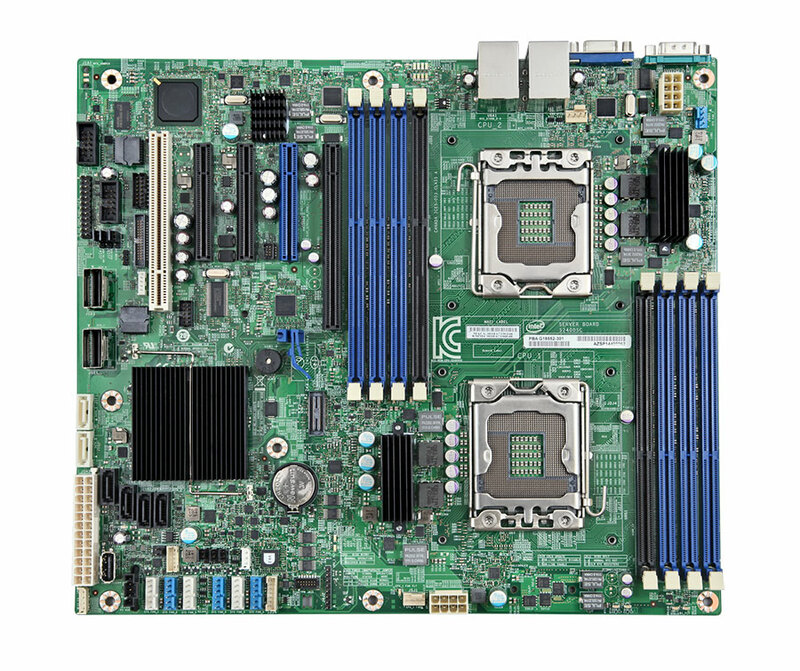 Intel® Server Board S2400SC2 A value two socket server board for first server environments, supporting two Intel® Xeon® Processor E5-2400 family, eight DIMMs and 14 onboard SATA/SAS ports, expanded I/O with 33 total PCIe lanes including 28 PCI Gen3, and Intel® Server Management.